Second leg begins today and for most of national teams it is round of truth. Tuesday gives us great opportunity to enjoy football match between World Cup host, Russia and Egypt. This game is also good candidate to put our bets and earn some cash. These will be the first time for Russia to play against Egypt and both teams will do their best to try to remain undefeated. We could not ask more from opening game. Russia made first class sensation when they defeated Saudi Arabia. It was not so much about victory but number of goals was highly unexpected. World Cup hosts scored after twelve minutes of play Yury Gazinskiy scored first goal for Russians. Second goal was masterpiece by Denis Cheryshev 2:0. In seventy-first minute Artem Dzyuba scored third goal and winner was already decided. Until the end Russians scored two more goals 5:0. The scorers were Artem Dzyuba and Aleksandr Golovin. Victory was convincing but play was questionable. Russians had ball in their possession forty percent of the time and they committed twenty-two fouls. Goal difference is good and if they manage to hold for a draw against Egypt, their place in second phase is guaranteed no matter what they do in last game against Uruguay. A £500 Bet on Both to score and Over 2.5 goals returns Â£1500. Click here! Egypt was so close to make good result against Uruguay. We all still remember how Mohamed Salah got injured in ChampionÂ’s League finals and how big question was if heÂ’s going to take part in World Cup. Egypt decided to bring along still injured Salah and as such he had to watch clash with Uruguay from the bench. After first forty-five minutes there were no goals and that was sign to Egypt that against Uruguay they can play as equals even without their best player. One minute before the end Uruguay scores header and that goal secured minimal victory 1:0. Pharaohs must pay their attention to next match against Russia and forget that unfortunate defeat as soon as possible. 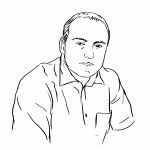 Egypt has nothing more to lose and they must attack Russians if they want to reach one of two places that lead to knockout phase because draw might not be enough. Enjoy in great football match Russia vs. Egypt and try to earn money with our football prediction and betting tips. Have a good betting week. Read our betting preview and tips and make right decision to win some cash on Tuesday night. Russia don't have many missing players for the second game in Group A. Alan Dzagoev is injured and he can't play. All other players are available for the match and they are highly motivated to pick up another one win on this tournament. On the other side Egypt also do not have lots of missing players for Tuesdays game. Mohamed Salah is not fully fit but we expect to see him in starting XI. All other players are fully fit and ready to play this important game against Russia. Matchday Two on the World Cup begins on Tuesday night with match Russia vs Egypt. This game is and important one for the both teams and it will be a true football battle for the points. Russia are in much better position, with three points from the opening game. On the other side this game is must win for The Pharaohs and they will play aggressive from the first minute. Egypt were poor in their opening game and if want to reach Round of 16 then this is must win game for them. A good news is Salah is ready for the match and they can help the Pharaohs to beat Russia on Tuesday night. Russia got off to the perfect start in the opening game and they demolished Saudi Arabia with five goals. They like to play fast football with short passes and their main objective for this game will be ball possession. On the other side Egypt are desperate for a victory to keep their World Cup hopes alive and must play aggressive in attack. The Pharaohs were very unlucky to leave their opening game without a point, and on this match they will try to score a goal more. So, this game is going to be a tough one with lots of midfield duels and fouls and probably lots of yellows. 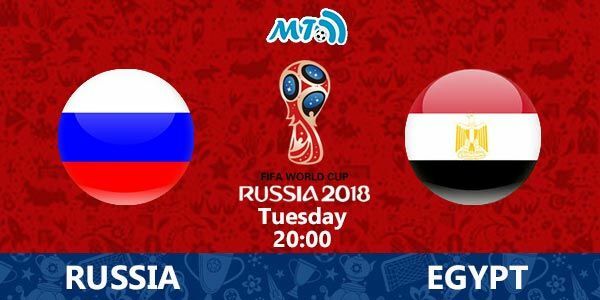 Our prediction and betting tips for the match Russia vs Egypt Prediction: Both teams to score. We expect to see more then two goals here, but both sides have a chance to win. Maybe the best option is to place our bet on goals Â– Over 2.5 goals. If you link these two bets then can win more money. A Â£500 Bet on Both to score and Over 2.5 goals returns Â£1500. Click here! On this match we expect lots of yellows so you can try to win more cash with bet on cards. We expect at least five yellows on the match, and at least three of these five for Egypt. Also Russia is a team with lots of corners per match, so we expect from them to earn at least six corners. Have a nice betting day and good luck in earning money with our football prediction and betting tips.